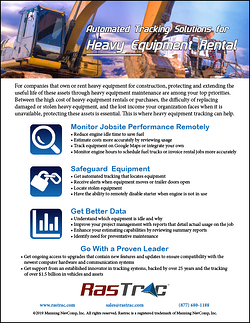 Monitor engine hours to schedule fuel trucks or invoice rental jobs more accurately. Have the ability to remotely disable the starter when equipment is not in use. Understand what equipment is idle and why. Get ongoing access to upgrades to ensure compatibility with the newest technology.